Free shipping. Buy direct from HP. 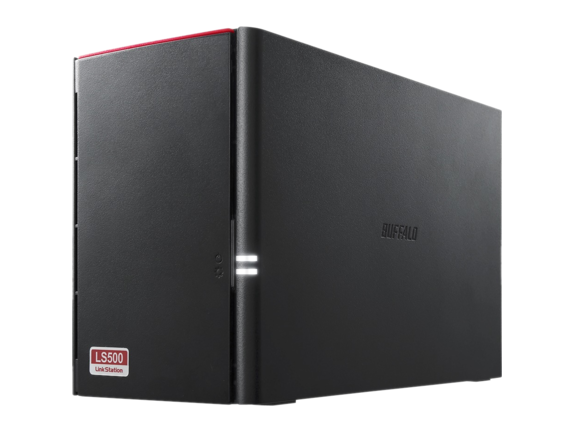 See customer reviews and comparisons for the Buffalo LinkStation 520 2TB Personal Cloud Storage with Hard Drives Included. Upgrades and savings on select products. Buffalo's LinkStation 520 provides a high-performing powerful storage and backup for all PC and Mac computers, tablets and smartphones on your home network. The LinkStation 520 ships with premium NAS-grade hard drives ensuring reliability for your precious files. Simply connect it to your wireless router for access anywhere in your home. While on the go, Buffalo's WebAccess service allows you to create a free personal cloud for easy remote access anytime, anywhere over the Internet, and even on your iPhone, iPad and Android devices. With LinkStation 520, you can back up multiple computers simultaneously and enjoy uninterrupted access to terabytes of storage anytime, anywhere.